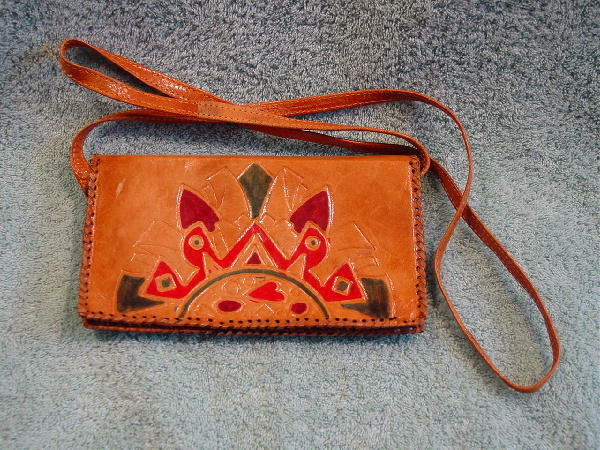 This vintage genuine leather purse was made in India. It has an envelope styling with a diagonal front flap. The edges have a leather lacing. The background is in a caramel color leather and has etched designs, some of which are painted forest green, red, and burgundy. There is a scuff mark on the back side near the left top corner and the front flap has a white scratch. It has a front snap closure, a 48" long shoulder strap, and a black fabric interior lining. 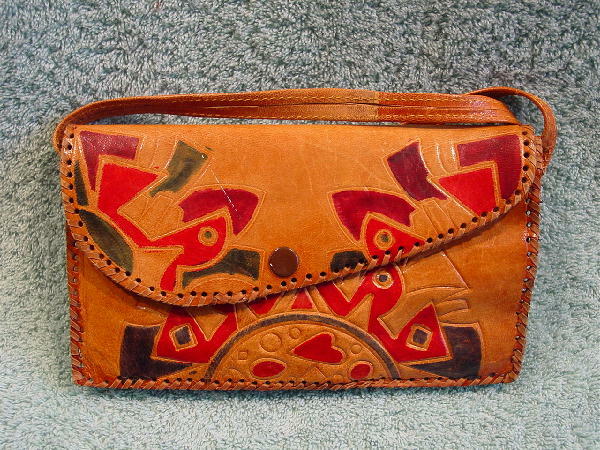 It belonged to a Czech model who bought it (with the imperfections) at a vintage boutique in England.